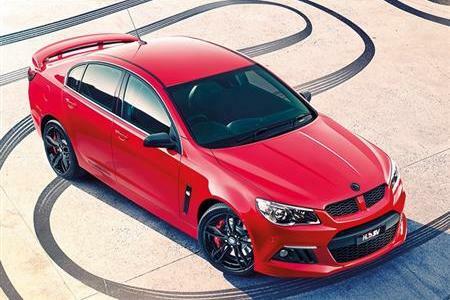 HSV, Australia’s leading performance car manufacturer, has announced details of a limited edition ClubSport R8 to commemorate the 25th anniversary of its ClubSport nameplate. The 25th Anniversary ClubSport, to be presented in high-series “R8” guise, builds on an already impressive list of standard equipment that includes a 340kW, LS3, Generation IV alloy V8 engine, AP Racing forged 4-piston brake callipers, HSV Performance seats in Onyx leather trim and advanced technologies like Enhanced Driver Interface (EDI) and Driver Preference Dial. The limited edition content starts with the fitment of light-weight 20” SV Rapier forged alloy wheels in a stylish “Gloss Black” finish. A Hyperflow Performance rear spoiler adds to the racing flavour while a range of striking “pitch black” exterior accents feature on the front mudguard vents, mirror scalps plus the door, bonnet and boot-lid badges. Bold quad exhaust outlets with shadow-chrome tips complete the exterior styling make-over. The 25th Anniversary ClubSport R8 will be available with either a TR6060 Tremec 6-speed manual transmission or the optional 6L80E 6-speed automatic with Active Select and Paddle-shifters. At $73,290* for the limited edition 25th Anniversary ClubSport R8 the price* remains unchanged from that of the ClubSport R8. To be offered in four exterior colours - Heron, Phantom, Sting and Nitrate, build of the 25th Anniversary ClubSport R8 will be limited to just 100 vehicles (plus 8 for the New Zealand market), with production to commence this month.